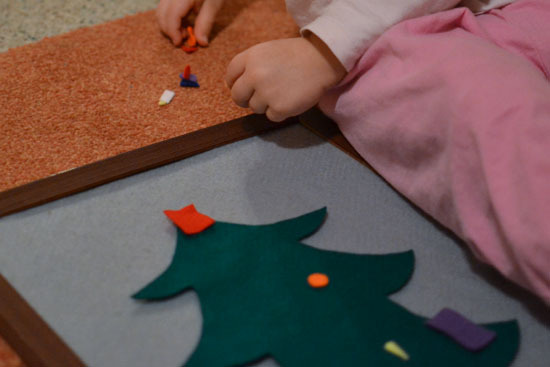 We hadn’t added to our felt board sets in a while, and I wanted to reactivate E’s interest in her felt board, so one evening when E was in bed, I had the idea of making her a Christmas tree felt set that would allow her to decorate and redecorate as much as she wants. 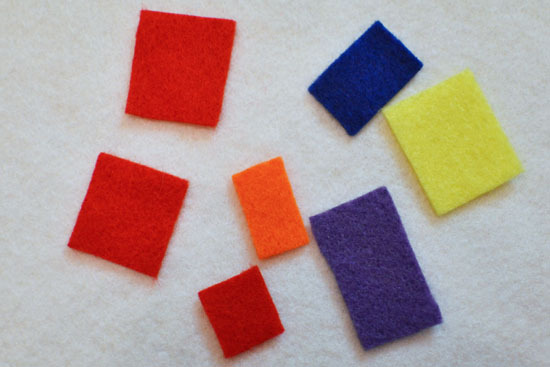 Scraps of felt in different colors. It took me well under an hour to make this set, and I’m not exactly an expert at working with felt or very crafty to begin with. 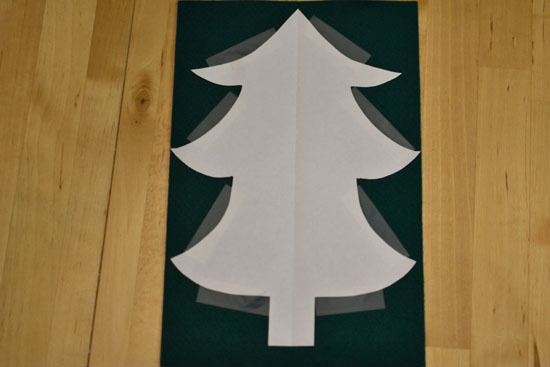 I cut a Christmas tree template out of regular paper and lightly taped it to the green felt sheet. The sticky tape helped give me more control when I cut out the tree, and I added bits of sticky tape as needed on the underside of the middle branches as I went. 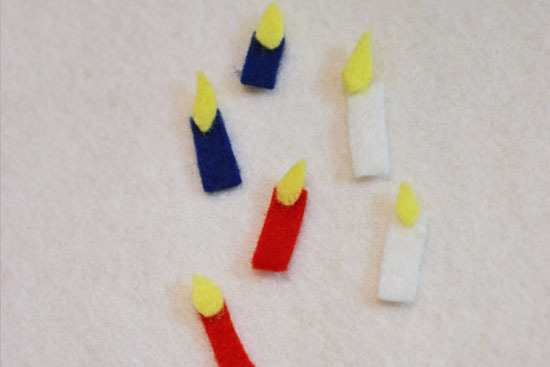 This project gave me a chance to use some very small scraps of felt, especially when I made candles. I cut tiny rectangles in different colors and tiny bits of yellow felt in rough drop shapes for the flames, then used a small drop of hot glue to attach the flames to the candles. That was the most “complicated” part of the whole felt set, for the rest, I simply cut out different shapes in different colors freehand. 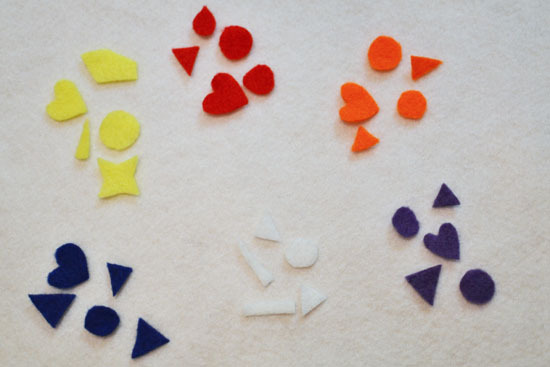 I made some hearts, circles, triangles and a few more random shapes in different colors, plus a yellow star for the top of the Christmas tree. None of them are perfect, and they don’t have to be! Finally, I cut some slightly larger rectangular shapes that can either make more decorations, or could be used as gifts under the tree. The next morning, E spied the bits of felt immediately and went to get her felt board. 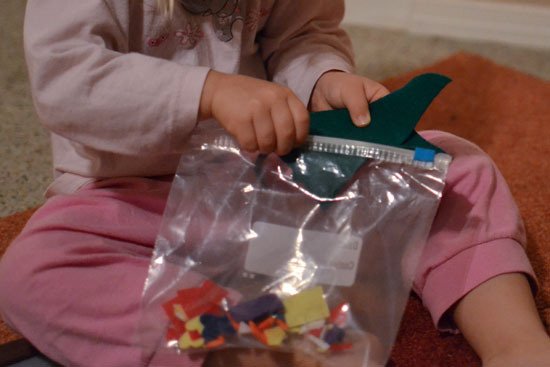 When she was done, she put all the pieces back into a Ziploc bag on her own to play with again another day. You don’t need that many shapes. You could simply go for a number of round “baubles” in different colors, like Coffee Cups and Crayons did for their Christmas Tree Decorating Felt Busy Bag. 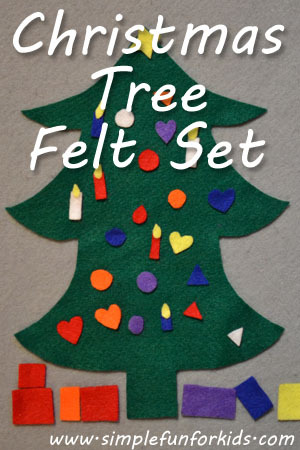 Make a giant felt tree to hang on the wall or lay on the floor. 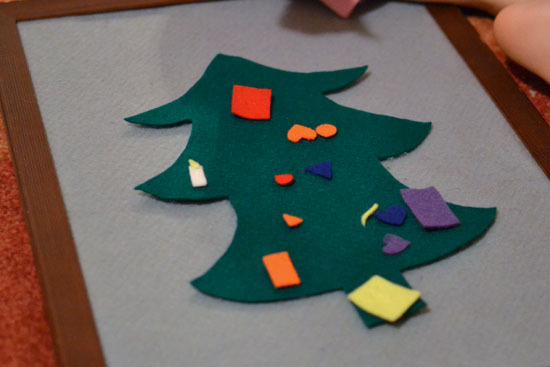 Or make a 3D tree like Buggy and Buddy did: Decorate the Felt Christmas Tree. You could make it any size you wanted – a big one is on my list for next year! 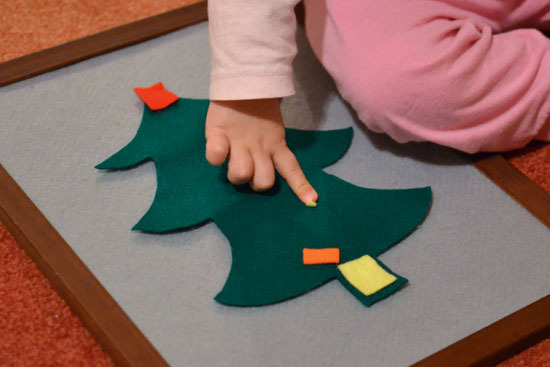 Have you played with a Christmas tree felt set? What size was it? Tell me all about it in the comments!